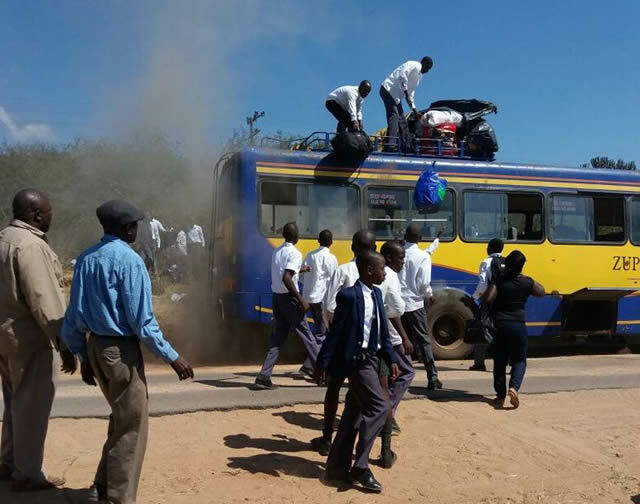 MORE than 70 pupils at Regina Mundi High School in Lupane escaped unhurt when a Zupco bus they were travelling on caught fire due to a suspected mechanical fault near Tsholotsho Business Centre. Matabeleland North provincial education director Mr Boithatelo Mnguni said the incident occurred shortly after 2pm a few kilometres after Tsholotsho Business Centre along Siphepha Road as the pupils were going to school ahead of today’s opening of the second school term. Mr Mnguni said the bus was on its way from Bulawayo and bound for Regina Mundi High School. She said the bus was full of passengers but initial indications were that all the pupils escaped unhurt. Mr Mnguni said pupils’ luggage was retrieved from the bus before it caught fire. 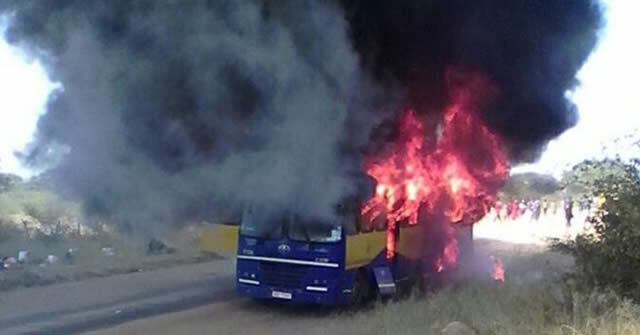 “I can confirm that there is a Zupco bus that caught fire just after Tsholotsho Business Centre and it was carrying Regina Mundi High pupils who were returning to school after the holiday. I managed to deploy the district education officer for Lupane to the scene and he told me that nothing was destroyed in the inferno,” said Mr Mnguni. He said they requested Zupco to send another bus to ferry the pupils to school so that they were not stranded. It was, however, not clear by last night whether the bus company had managed to deploy the requested bus. “We intend to engage Zupco over the issue so that they furnish us with a clearer picture of what exactly transpired because right now the information that we have is not clear at all,” said Mr Mnguni. No comment could be obtained from Zupco last night.